Imagine a wall oven that refrigerates your prepared entree inside of the oven during the day until you begin the cooking process via your internet browser from anywhere in the world (but just close enough to be home for dinner). Now that’s cutting edge! It’s not just state-of-the-art stuff…it’s award-winning state-of-the-art stuff…many times over. Imagine having to login to your oven to prepare the evening feast. Then you get…’Did you forget your password?’ ‘Please enter your email address to retrieve your new password.’ I don’t know if that’s how it goes with this new oven but I can see that happening. Imagine no more. It’s for real. Refrigerated wall ovens are here and I think they’re here to stay in this hectic, convenience-associated society we live in. This certainly won’t replace the $40 crock pot but it gives a whole new meaning to ready to eat. The Connect IO Intelligent Oven, manufacured by TMIO, is not a gadget or a gimmick. (They’re not playing around here.) The Connect IO has NASA-based engineering involved that has allowed it to rise above its’ competitors. You’ll pay through the nose for all of that engineering, though. Read more to see how much they cost and capabilities. The Connect IO refrigerated wall oven is a product of some of America’s finest engineers. It’s engineered and Made In The U.S.A., too! 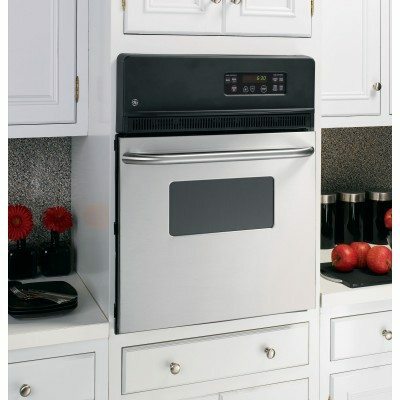 It’s also a superior oven in it’s own right even without the refrigerator function. …and this is touching on just the highlights of this amazing piece of engineering. I imagine that the owners manual is a bit intimidating…although the touch screen instructions appear to be self-explanatory. Read more in-depth info on the above features. Can You Believe It…A ‘Green’ Oven! You’ll notice that the energy efficient, non-toxic, self-cleaning Green Clean (that’s a mouthful) is one of the proud features mentioned above. I had to laugh when I read that they were incorporating the ‘green’ features of these ovens into the marketing aspect. I applaud it, I just find it funny that ‘green’ has become such a strong marketing tool. In conclusion, there’s no doubt that as far as ovens go…it’s ‘da bomb’. It’s psick. It’s phat. It’s hot, baby!! !